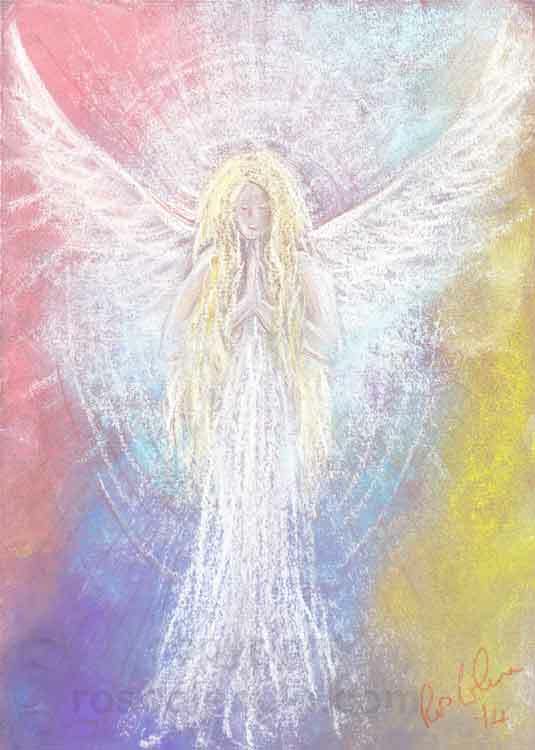 ANGELS EXIST TO LOVE and guide us. 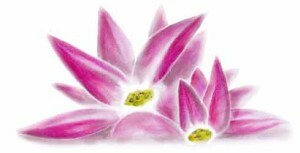 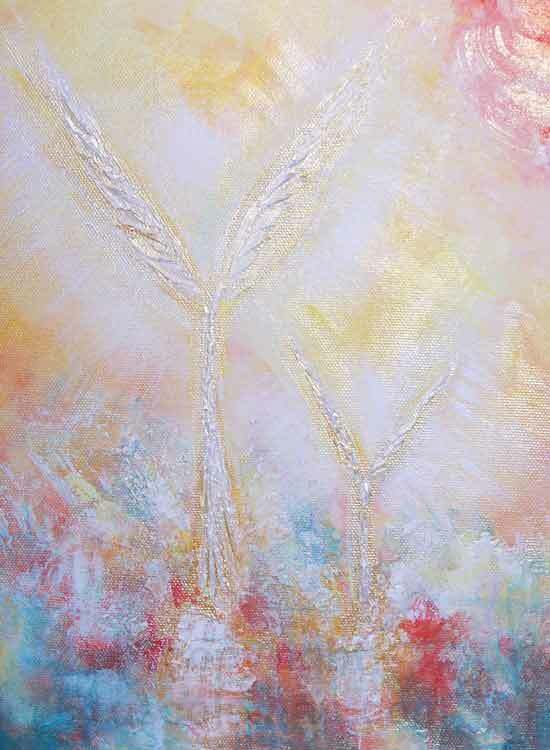 They are the embodiment of Love, and are very powerful. 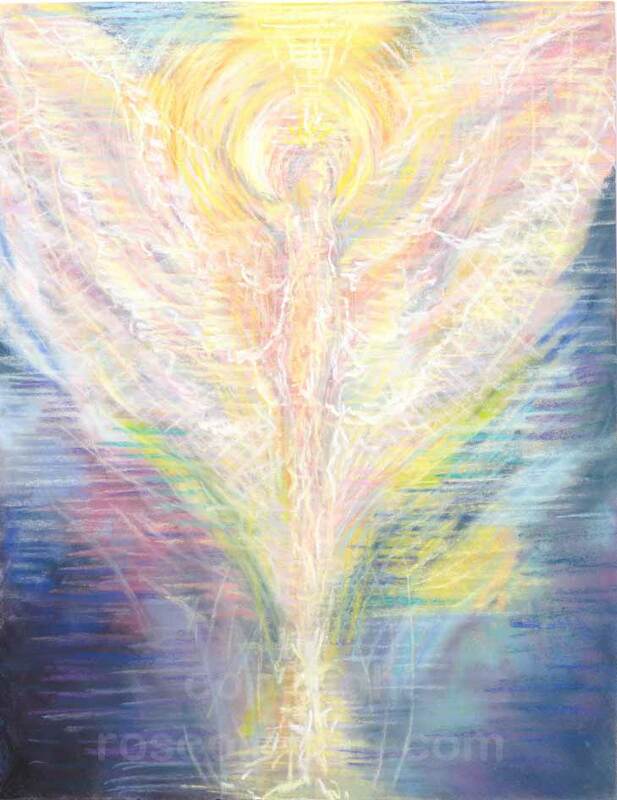 Angels exist in a hierachy – an integral part of the creative universal intelligence known variously as God, Allah, Elohim and Great Spirit, and countless other names. 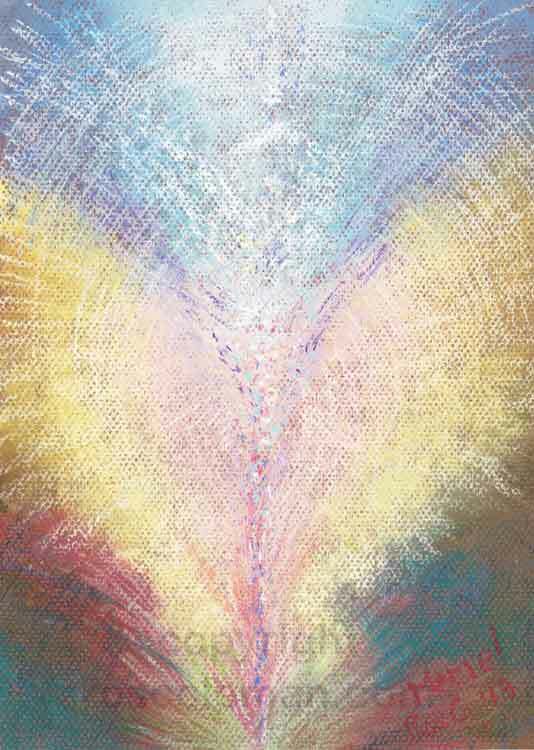 Angels have no specific form, existing as Love, Power, Intelligence, Light, Sound and Colour. 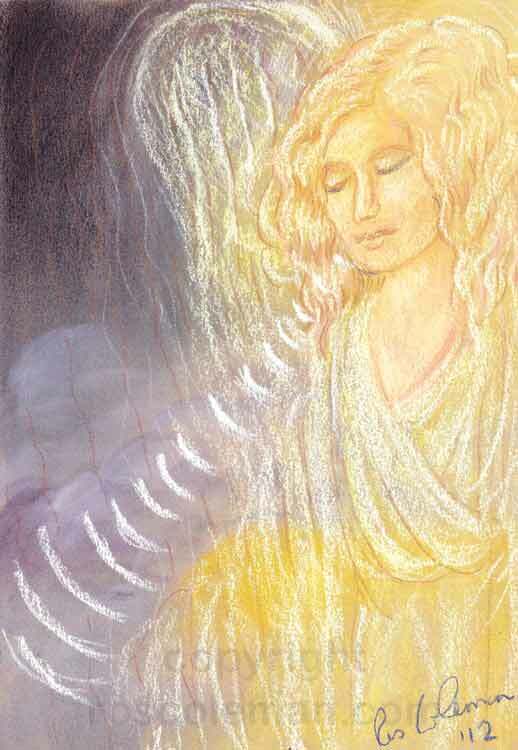 Angels can – and do – create miracles. 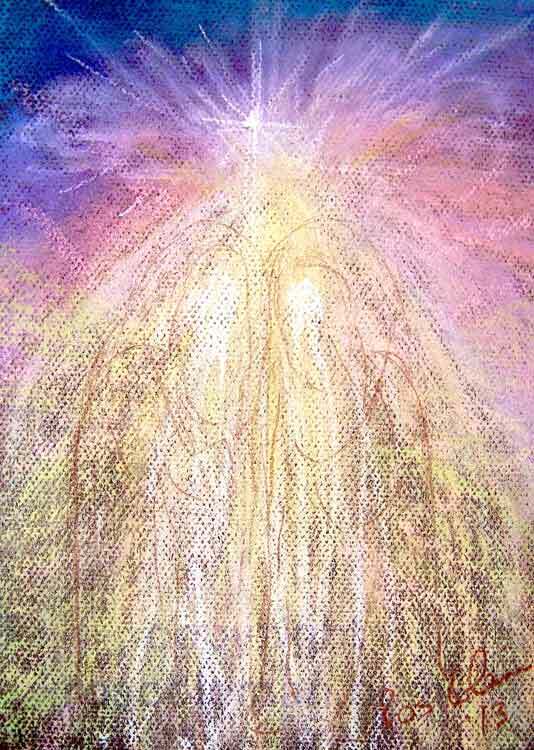 Angels appear often in my spirit guide portraits, their essence translated into a form that is meaningful to the person the portrait is intended for. 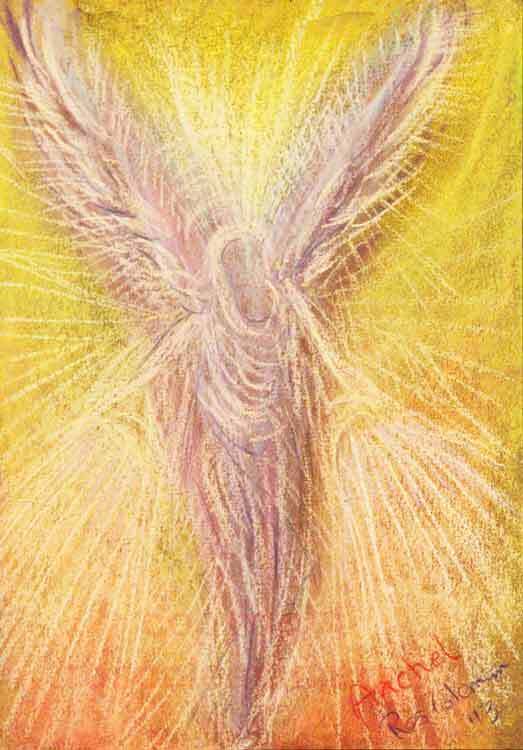 Angels work with us, and for us, all. 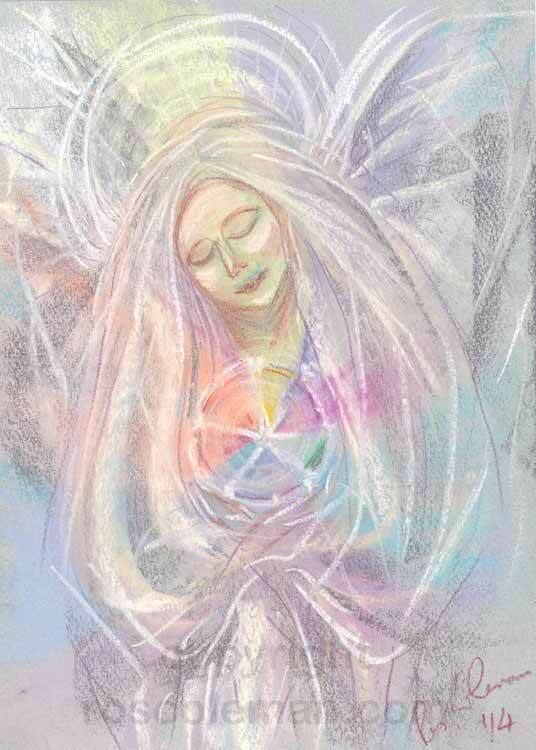 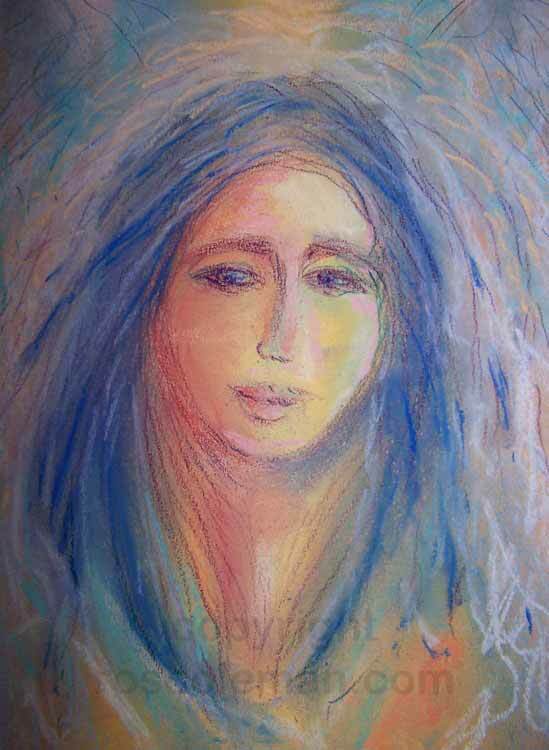 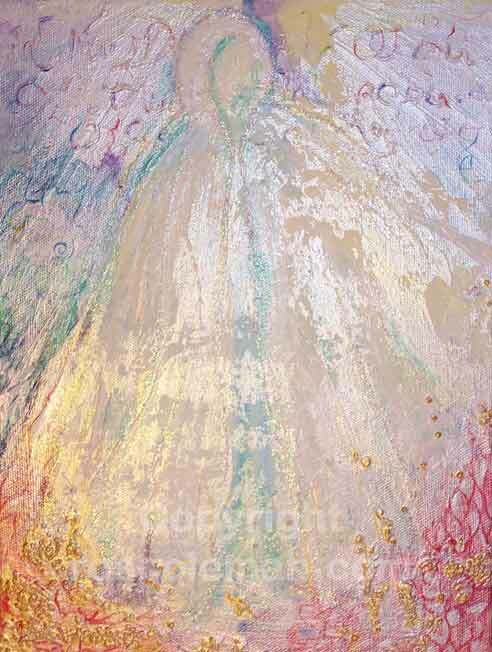 An angel painting channelled by Ros Coleman, psychic artist. 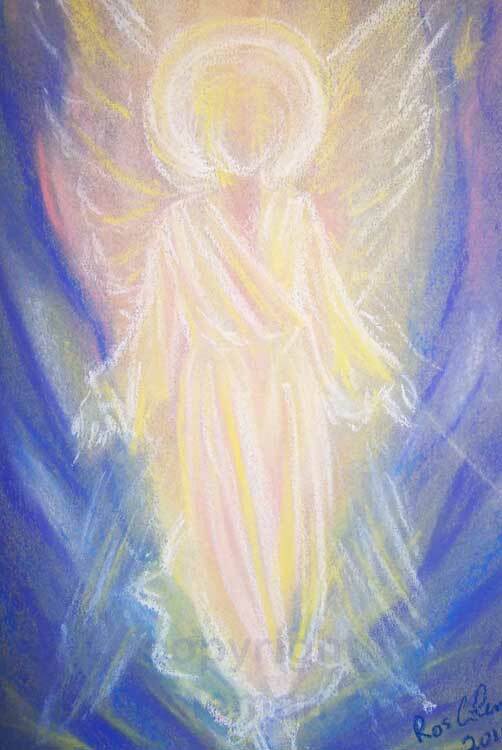 Would you like to see your Guardian Angel? 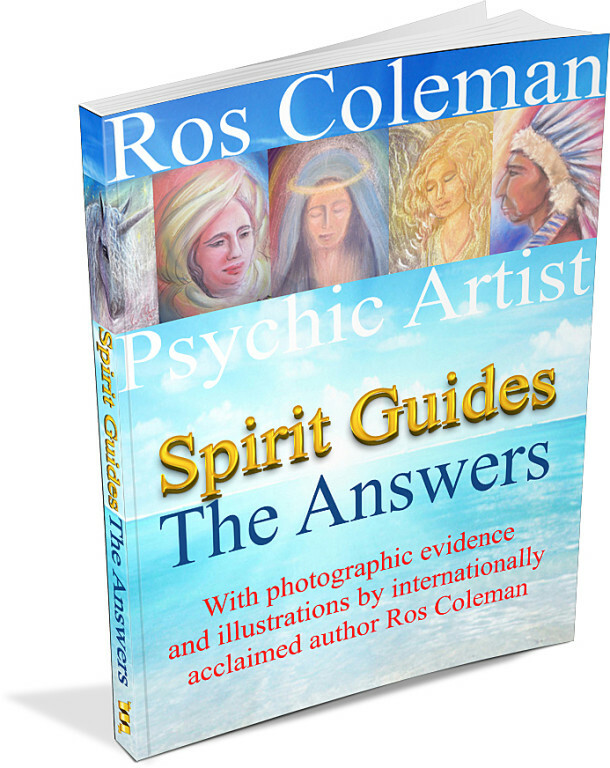 A unique portrait of your own personal guardian angel channelled by Ros Coleman. 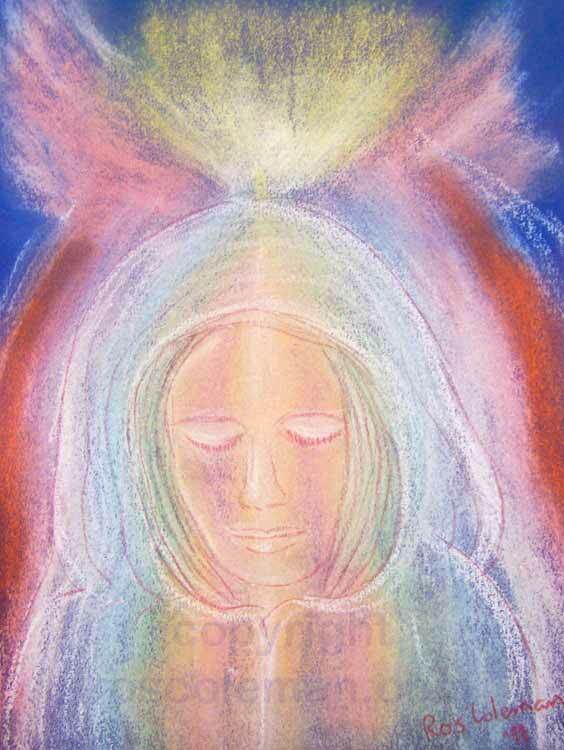 Choice of glowing colour pastel or soft B&W graphite pencil. 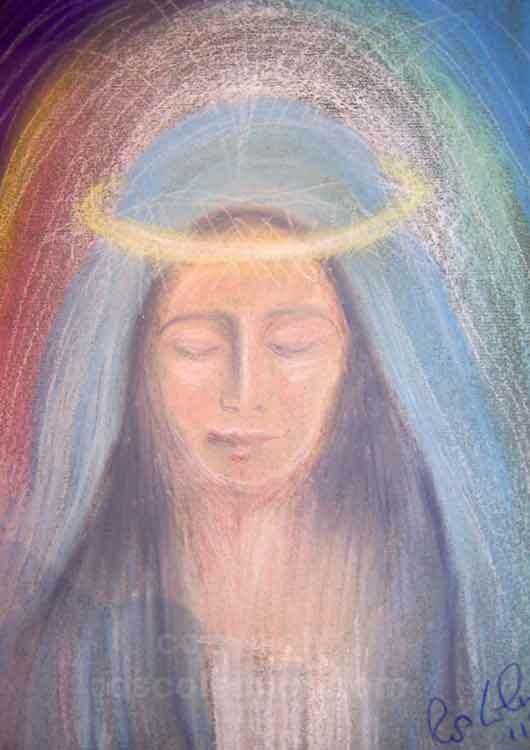 With or without a reading.